I felt very comfortable in this 3/4 sleeve tunic. I really like this shirt, it launders well and wears well. I bought one for me and one for my daughter and she likes hers. This is a really nice shirt. Even if it was not such a good buy price wise, I might have bought it anyway. I love the blue but I am going to order the pink also. I would use this for special occasions when casual clothes make me feel comfortable. Exactly as described. Ordered one size up & it fit perfectly. Cool & in this hot weather & the 3/4 sleeve is what I needed. Thank you! The color was exactly as pictured & it matches the skirt I bought it to go with perfectly. Shipping was excellent & delivered in the time allotted. 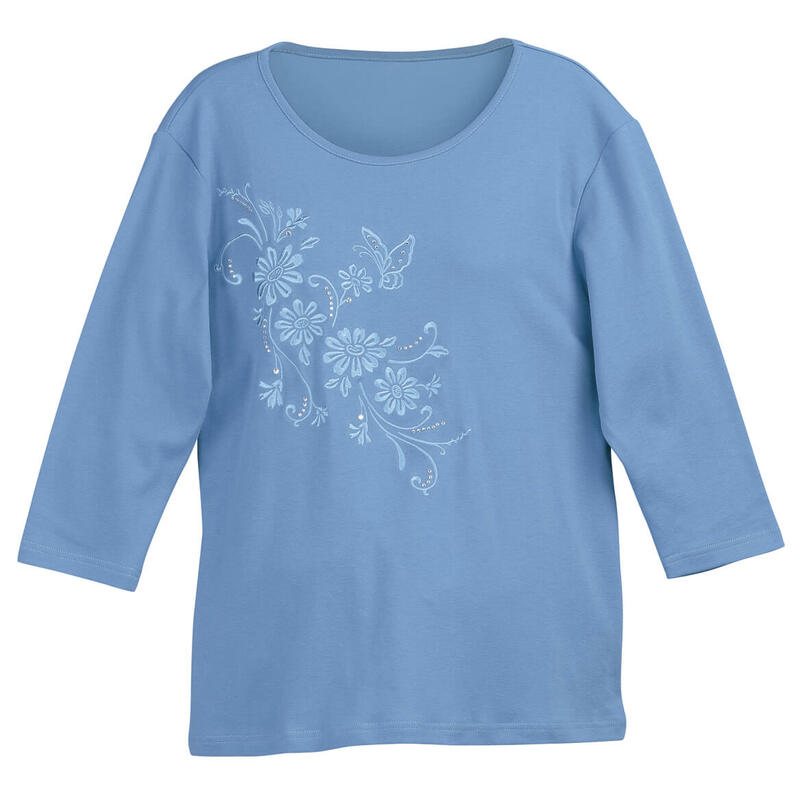 Liked the sparkled embroidery and the longer sleeves, comfortable in air conditioning. 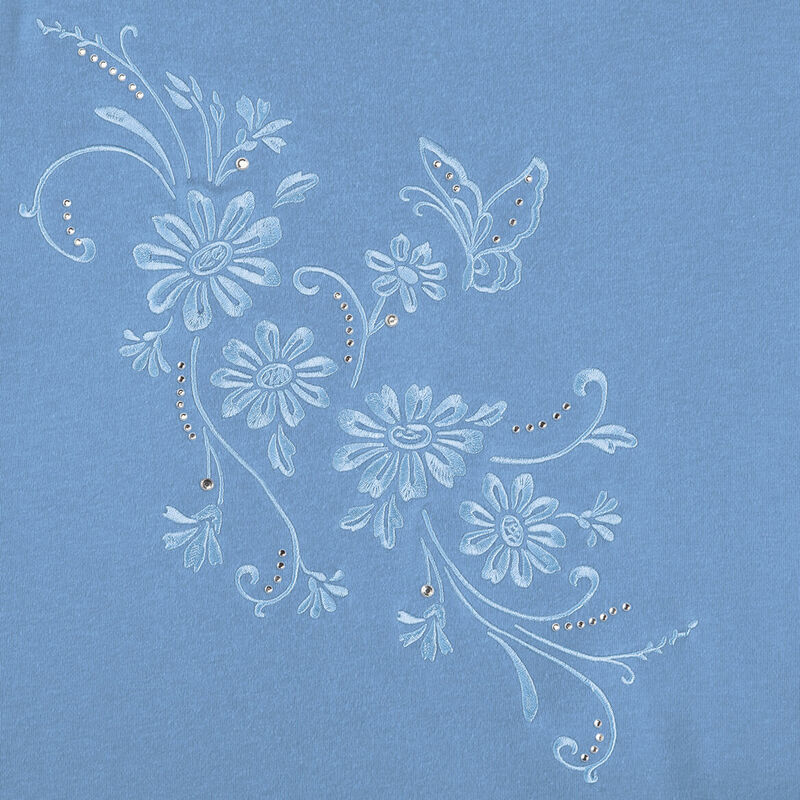 The flower design dresses up what otherwise would be a plain shirt. 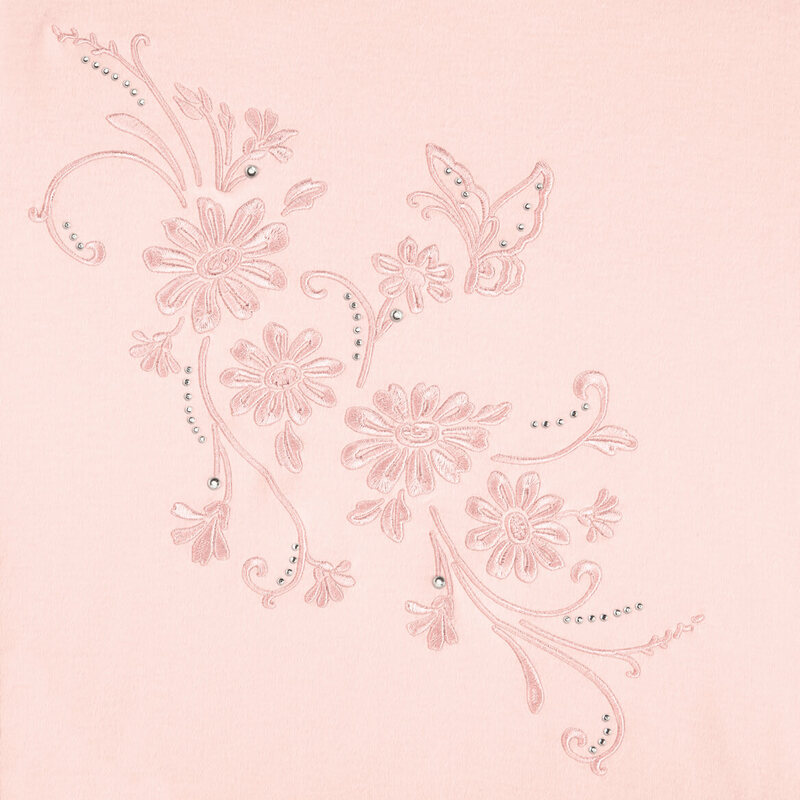 The color of the design are subtle enough that this shirt can be worn with a variety of prints. I chose this item for a few reasons. The scoop neck, the open bottom, the 3/4 length sleeves and because I already bought one to see if I would like it and I do. The fit is nice and it washes nice. You should sell more scoop and v-neck items. Women do not like things close around their necks. The price was right! Hope it fits! Because I like it. One thing however, I just received 2 tops from M. Kimball and I ordered Largeand they were Kind lof tight so I,m ordering size xl and hope I don,t swim in them. Value for this item. I knew I would get a lot of use out of it. I rekally liked it, liked the price and NO RAYON!,!! I have the pink one. very pretty and good price. looks better than picture. 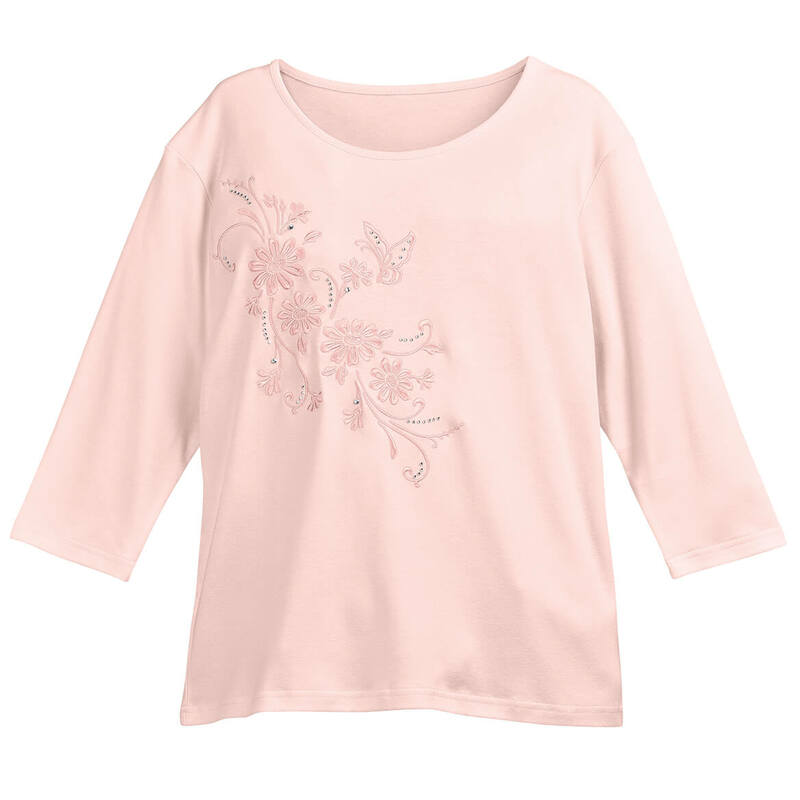 I love the tops from Miles Kimball. The cotton tops are so soft and fit so nicely. So confused by the size chart. A small is listed “19” bust and a large shows “21.5” !Can anyone help with accurate sizing? Thanks. BEST ANSWER: Thank you for your question. 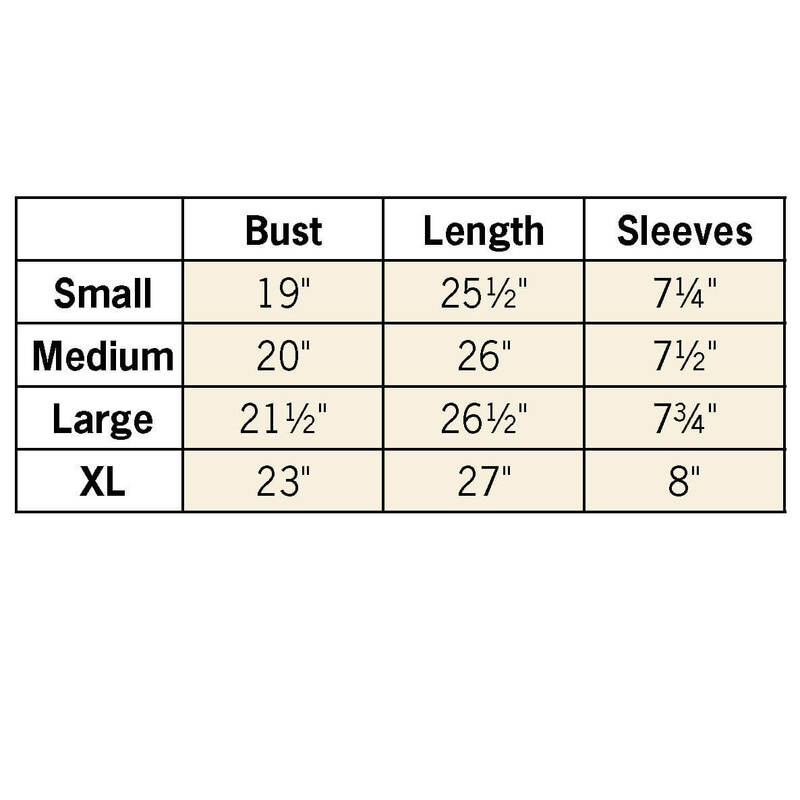 So the sizes are based on the measurements from armpit to armpit. The information provide in the table is accurate. We hope this information will be of help to you.